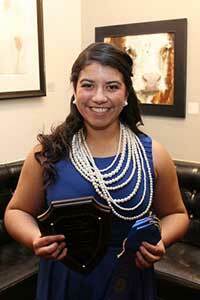 Texas Tech meat, wool and livestock teams did well at National Western Stock Show and Rodeo in Denver. 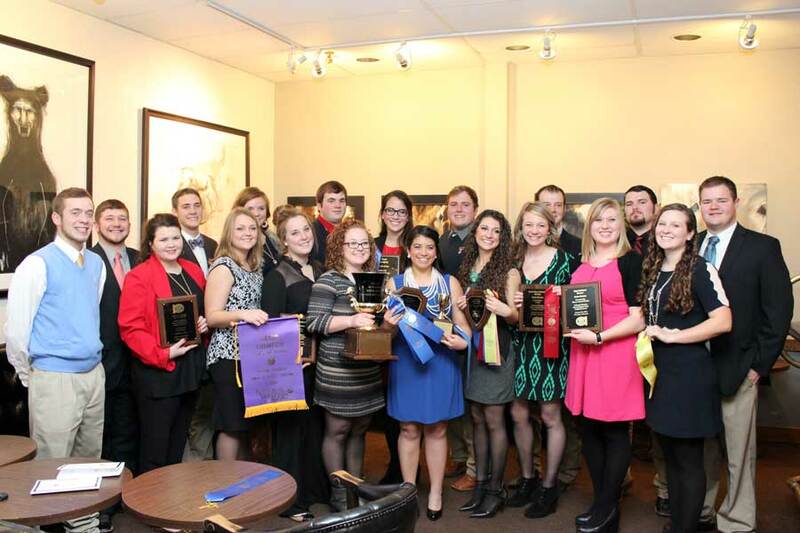 The Texas Tech University meat, wool and livestock judging teams opened the 2015 spring season with strong results last weekend at the National Western Stock Show. All three teams from the Department of Animal and Food Sciences in the College of Agricultural Sciences and Natural Resources got off to good starts. The meat and wool judging teams won their respective events, while the livestock team finished fourth. No team had a better weekend than the meat judging team, which dominated a field that includes fellow perennial powers Oklahoma State University, Colorado State University and Kansas State University. The meat judging team romped to a 114-point victory and posted 4,252 points, the second-highest cumulative point total by a team at any contest in the history of meat judging. The team swept the beef grading, beef judging, overall beef, pork judging, specifications and reasons divisions. Texas Tech also had the top four individual finishers. Darby Gonzales, a sophomore from Hondo, took the top honors and tied for first with teammate Clay Bendele, also a sophomore from Hondo. Sean Morrow, a sophomore from Nolan, took fourth and Erin Beyer, a sophomore from Brookshire, finished eighth. Melani Howell, a sophomore from Seymour (first place, alternate division); Cody Shannon, a junior from Royse City (second place, alternate division); Landon French, a junior from Burleson (third place, alternate division); Morgan Boyer, a junior from Wallisville (fourth place, alternate division); Michaela Pinder, a sophomore from League City (fifth place, alternate division); Elizabeth Burges, a junior from Graham (sixth place, alternate division); Kyle Lambert, a sophomore from Sweetwater (ninth place, alternate division); Annalisa Clark, a sophomore from Las Cruces, New Mexico; Zena Doty, a junior from La Plata, New Mexico; Scotta Faulkenberry, a junior from Stephenville; Hallie Hutto, a sophomore from Hondo; Erin Klein, a sophomore from Littlefield; Madison Langemeier, a sophomore from Marion. The wool judging team outdistanced in-state rival Texas A&M by 11 points to capture the crown, winning both the placing and reasons divisions. Keeley Sears, a freshman from Peaster, led the way for Texas Tech by taking top honors in individual scoring followed by teammate Courtney Jasik, a freshman from Mertzon. Sydney Buckley, a freshman from Castle Rock, Colorado; Breanne Burner, a freshman from Grape Creek; Bradly Duvall, a freshman from Perryton; Rachel Everheart, a freshman from Bronte; Tommy Fletcher, a freshman from St. Hedwig; Tate Leatherwood, a freshman from Florence; Shannon O'Quinn, a freshman from League City; Ashleigh Pasqua, a freshman from Fort Davis; Cole Perkins, a freshman from Llano; Cole Rosenbaum, a freshman from Hondo; Lexie Schaefer, a freshman from Garden City; Kirsten Shaw, a freshman from Mason; Blayne Troxell, a freshman from Pampa. The livestock judging team's fourth-place finish was led by Cory Edge, a junior from Rosedale, Indiana, who ranked seventh. The team finished in the top five in each judging division, including cattle, swine, sheep and reasons. Syann Foster, a junior from Lockney ; Colton Fritz, a junior from Fredericksburg; Lane Hale, a junior from Ozona; Reggie Halfmann, a junior from Garden City; DeShae Hanagan, a junior from Artesia, New Mexico; Laramie Priest, a junior from Lorena; Colby Redifer, a junior from Blacksburg, Virginia. ; Linay Runnels, a junior from Hondo; Taylor Shackelford, a junior from Prosper; Chase Vineyard, a junior from Stephenville; Tylee Williams, a junior from Rio Vista; Bryson Williams, a junior from Earth; Luke Ziegler, a junior from New Windsor, Maryland.